I love photographing the moment between the bride and the groom,especially the first dance as a couple together. On a halloween night this couple decided to get married at the beautiful Wild Dunes Resort, in Isle Of Palms, Charleston South Carolina. Wild Dunes Resort is a private community where you have to enter a security gate in order to enter the premises, once your in there about 1.5 miles you will find the Boardwalk hotel witch features a beautiful resort, pool, boardwalk and a very nice beach. They just renovated and added a beautiful conference center with there large ballroom. For my clients event they hired a very well known coordinator in town who decided to really decorate the reception, it was just magical. 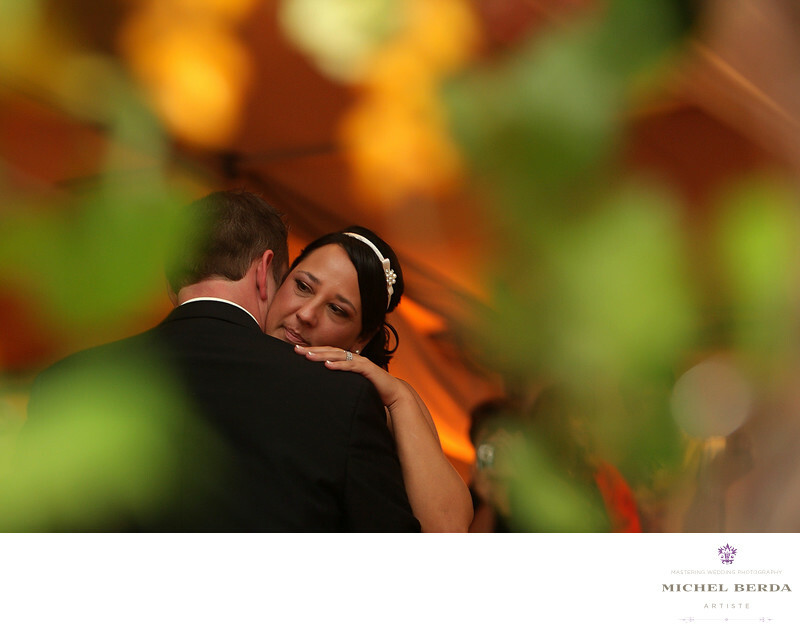 When the first dance started, as I always do,I started panning around and walking to different parts of the room. I noticed that there was tree and as I squatted down, I brought my lens to look threw the branches, witch gave me this incredible images, by vignetting the couple around the leaves, and just having enough blank canvas to have the bride and the groom in perfect focus. I love this image and this beautiful image that I photographed as a wedding photographer for Wild Dunes Resort, In Isle Of Palms Sc. Keywords: Destination Wedding Photographer (117), isle of palms (30), Isle Of Palms Sc (18), Isle Of Palms Wild Dunes Resort (18), sc (309), Wedding photographer In isle Of Palms (18), Wedding Photographers (198), Wedding Photography (123), Weddings (168), Wild Dunes Resort (21), Wild Dunes Resort Isle Of Palms (3).